How I raised myself from 0 income to over $10,000 per month in 30 days. 2006, I was a successful real estate salesman. I was doing very well, and I could provide a nice lifestyle for my family. Everyone and their brother in law were in real estate, and we were doing well. However, in 2006, the real estate market crashed. The doomsday news was everywhere. Real Estate analysts around the country were saying that a real estate bubble was imminent. The bubble busted, and we were in a recession. Millions of families lost their properties. It became almost impossible to close a real estate escrow. For six months, I went without closing an escrow, no income, no, nothing. I felt terrible. I would see my wife leave to for work every morning while I would stay home with nothing to do and no income. I had several real estate transactions, but they were not closing, and they never closed. I was trying everything, and nothing was working. I was just burning up time and money. I reached out to all my real estate contacts; and I was offered a territory to clean up bank owned properties. I quickly accepted the offer. When I started, I started with no dump truck, no equipment, no knowledge of the junk hauling business. That was nine years ago. Within six months of starting junk hauling business, I had my own dump truck. I had an office manager – managing the crews, at my peak, I had five crews, two up-daters – billing people and myself. Start junk removal business is not a get-rich scheme, junk hauling is hard work that is well paid. The average invoice to clean up a bank owned property is between one thousand and one thousand five hundred dollars. When I started I would clean up a property a day with one helper. I paid my helper $100 -$120 per day. I paid the dump fee and gas and some other expenses. At the end of the day, I was left with a very nice day‚Äôs pay. Now I am paying the favor forward – I can only cover a certain. My area is a twenty five mile radius. My wish is that I can show some hard-working guys how to make it in the junk hauling business. The start junk hauling business, start junk removal service leads to other services that loan servicing companies, asset companies. Reo listing agents need to protect and preserve the bank owned properties. A chain link fence around a property can cost several thousand dollars. The profit margin is approximately 50%. Grass cuts and maid service are very profitable. My sub contractors were completing 800 hundred grass cuts per month, my net profit was after paying the grass cut, and the update was ten dollars per property. Not bad for receive the order and assigning to crews. What do start junk removal service, start junk hauling business does when the economy recovers? The economy starting recovering. I started receiving less and less orders to clean up bank owned properties. Signs of the recovery economy was everywhere. All contractors and builders were booked months in advance. Very simply I started a simple marketing campaign to reach out to general contractors, builders and remodel companies. Within a few weeks we started getting orders from them. Start Junk Removal Service, Start Junk Hauling Business is an evergreen business. You can make a lot of money in good and bad economies. 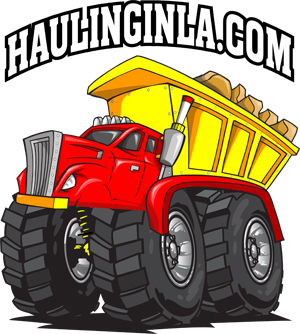 can help you and guide you to build a successful junk hauling business.